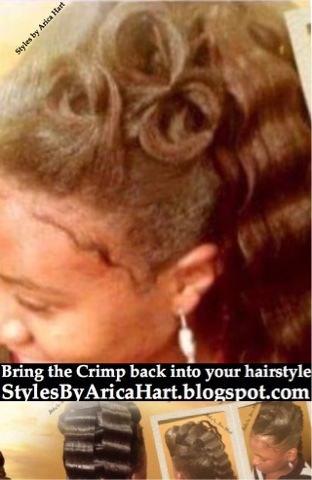 Bring the crimp back in your hair style ! 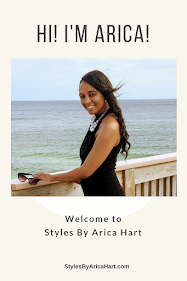 Bring the crimp back in your hair style with a Styles By Arica Hart. Be Confident Wearing Crimp Hair Styles. 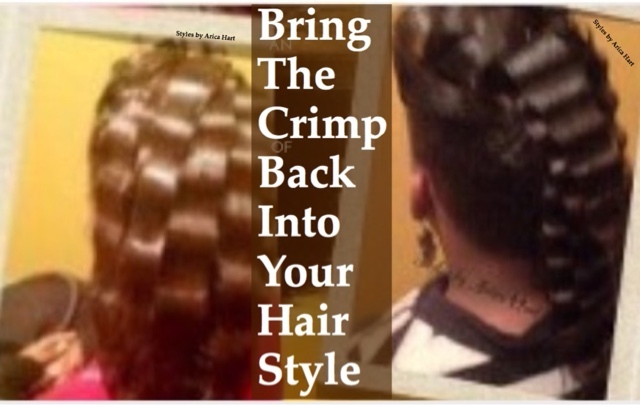 Are you ready to bring the crimp back into your hair style? Are you ready to be jazzy and confident in your style, your walk, and your talk. Well ladies you know our attitude and confidence changes for the better when we know our hair and clothes are looking right, our shoes are not tight, and we look out of sight! We feel fabulous.. Yes, yes, yes, you know what I'm talking about! Being the crimp back into your hairstyle. 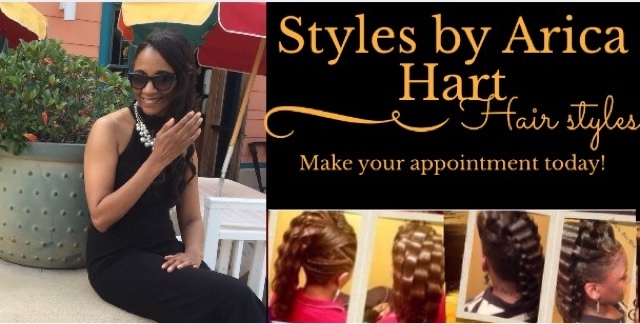 You can bring the crimps back to your life with a mohawk, ponytail, updo, and a variety of other hair styles. * Warning... Don't get sea sick looking at these waves called Krimps. Lol!! This beautiful young lady below is wearing a side crimped Mohawk. It's pinned up in a styles by Arica Hart creation at the top middle section of the hair style. It can be worn for many occassion. She wears it with such sophistication. You better get you one or be left out. Busy? Pin and share it for later!! This beautiful young lady is wearing a ponytail with some pincurls and fold-overs designed by me to capture the elegance of the style. Well she rocked it. What about you? Are you ready? 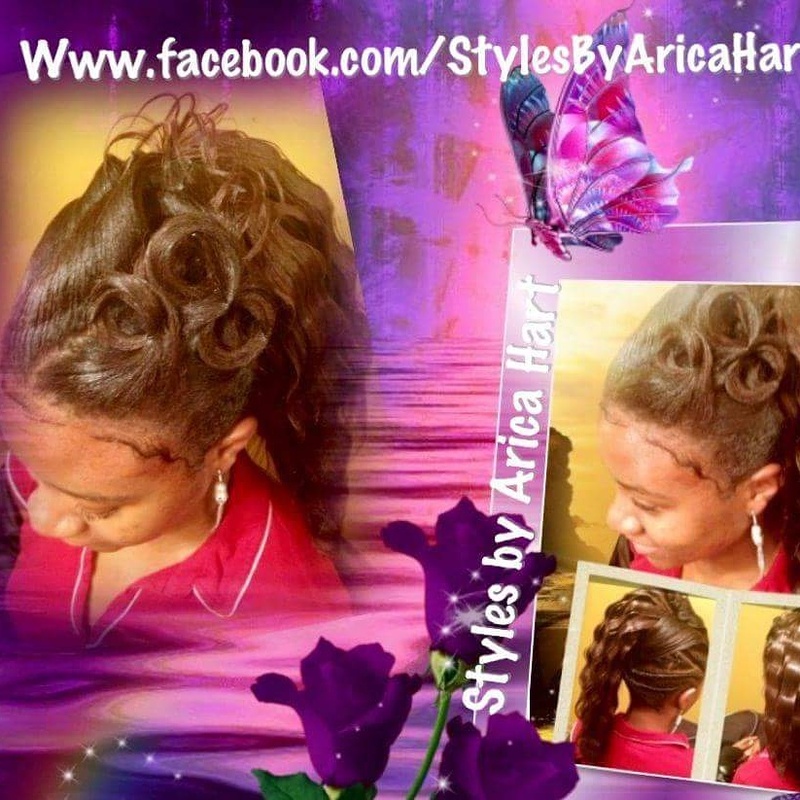 Sassy hair Styles by Arica Hart. Now you have seen a couple of crimp styles. You can find links to more Articles to view below. Have a blessed and awesome day. I look forward to seeing you in the salon! Lifted braid hair Styles for those trendy and classy days. Thank you very much Miss J! !